No parent should ever have to visit his or her infant’s grave. No parent should ever have to experience the heart ripping pain of losing their child for any reason – especially to vaccines. 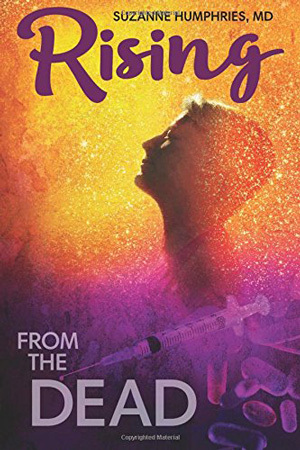 Former pro-vaccination nurse, Leah Feuerberg, recently woke up to the stinging reality that the Vitamin K injection and the Hepatitis B vaccine killed her four-day old infant, Emily. Leah also traced her own painful chronic health issues to her teen vaccines. Due to the “catch up” vaccination requirements prior to her attending nursing school when she was 18, her health issues escalated so badly and worsened that she hasn’t worked in three years and is bedridden. Another one of Leah’s children is also vaccine-injured. In her own words below, Leah reveals the tragic story of her daughter’s death, describes her compromising health issues, and her family’s journey to improved health. Some of just a few of the lies we are told daily by our “trusted” medical professionals and even government. And the minute you start questioning these lies being repeated, you are the one who is misguided or crazy. When you bring up facts and experiences, they possibly can’t be accurate because “vaccines save lives”. Remember polio? But make sure you don’t introduce foods too fast you may cause an allergic reaction! I wish I had questioned more. I wish I wasn’t so naive and held so much power in something I truly never understood. Being a western trained nurse, I just couldn’t believe medicine would harm. Ironically though, as much as vaccines are a part of medicine, not much goes into educating your medical professionals on vaccines. 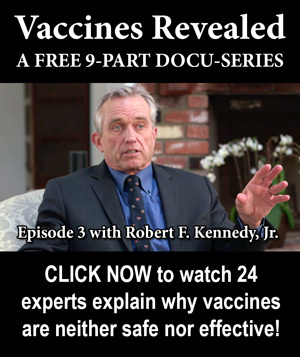 I found out the hard way just how dangerous and damaging vaccines are. 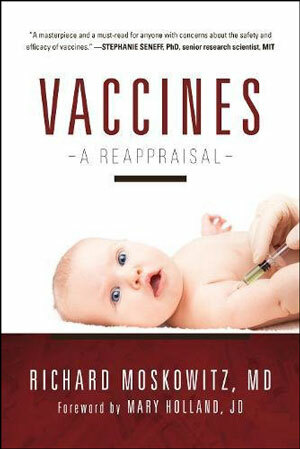 Not just vaccines, but Vitamin K — something they push that all babies “need” at birth. It still took a while after losing the most precious thing, my daughter, Emily. Took figuring out why I am so sick and have been bed bound for years and unable to work. Vaccines did not save lives; they have ruined and taken lives. 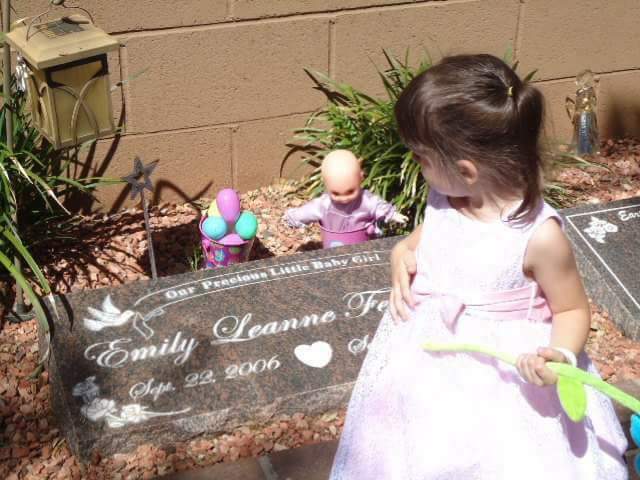 They took Emily’s life at four days old after being healthy. 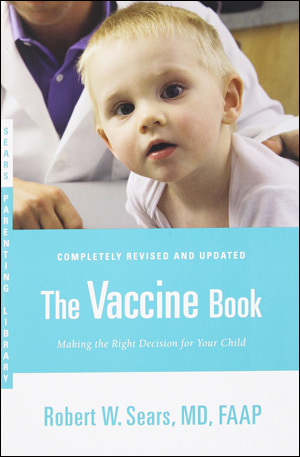 When I was pregnant, there was no question in my mind my daughter was getting vaccines. 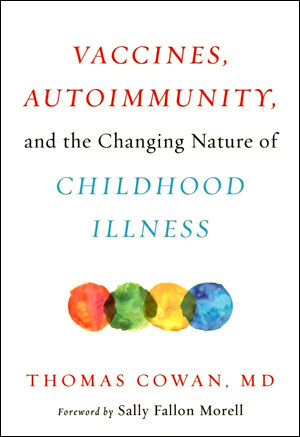 Medicine had always been completely normalized in my house growing up; I was fully vaccinated and everyone in my family was 100% for vaccines. It would’ve never crossed my mind that the field I was going into because I wanted to genuinely help others, didn’t actually want to help people. Emily, my first-born, was delivered full term, weighed 7 pounds, 8 ounces, and measured 21 inches long on September 22, 2006 at 8:54 a.m. At birth, she received the Vitamin K injection and the Hepatitis B vaccine. We were transferred to our new room within a few hours. When Emily was six hours old, the nurse entered my room as I was holding Emily bundled. The nurse took her pretty rough from my arms and didn’t allow me to hold her. The nurse stated she was running a low-grade temperature and she did not want to have to draw a sepsis blood panel on her. She then unwrapped Emily and laid her in her bassinet in a diaper and the little shirt the hospital provided. I was exhausted after a 24-hour labor, and young, so I just let the nurse do it. My mom came in the room roughly 30 minutes later and was like, “What the heck is going on?” Wrapped Emily back up and gave her to me. At 24 hours old (the next morning), the hospital pushed us out and discharged us since she was a vaginal birth. That night is when Emily really became fussy and this behavior continued until she died. She just cried and we couldn’t make her happy. As a young, first time mom, I was told some babies were fussier than others. On September 26th, my milk came in, and I tried to feed her. I had a really rough time trying to get her to latch [the HepB is known for causing latch problems]. She was really fussy, crying a lot. Emily fell asleep and I lied her down and decided to take care of some house chores while she was sleeping. After two hours, I was going to wake her, but always was taught “never wake a sleeping baby”. After about three hours, I decided Emily needed to be woken up. She was a newborn and needed to eat. Touched her face and it was cold. I started pulling down her blanket and her neck was purple on the left side. I knew for a fact she was cold and she was gone, but I still tried to save her. I called 911 and the line was busy the first five or so tries, then it rang forever before someone picked up. As I waited for the medics, I performed cardiopulmonary resuscitation (CPR). The medics came and they took over. They tried everything and rushed her down to the closest trauma room. During this time, I was trying to call my husband home from work. He worked in a kitchen at the hospital and I had to call the kitchen phone to locate him. As I was on hold while they were looking for him, the cops walked in the house and immediately start demanding my name and information. I said, “I’m trying to call home my husband, her dad,” and they continued to demand my information. Grabbed my ID and shoved it in their face and walked away to finish on the phone. After I hung up, I called my mother-in-law (she lived down the road) and my mom, to let them know there was an issue with Emily. My mother-in-law drove over immediately and arrived right after the medics took Emily off to the trauma room. Cops insisted on driving us to the hospital. During this time my husband was heading home. I called and asked him to meet us at the hospital she was transported to. My husband arrived at the hospital and met us the same time the doctor walked in the room they placed us in while waiting to hear an update. The doctor entered the room and said she was gone. They tried everything, but there was nothing they could do to save her. The doctor said we could visit with her body in the trauma room she was in for a short while. While we were sitting in there, the cops pulled us out (me and my husband) individually to interview us about what happened. I am not actually sure what was all was asked of my husband. The cops then informed us they would be going to our house to conduct a search and take photographs. Shortly after, the nurses told us to leave and they sent Emily off to the medical examiner for an autopsy. 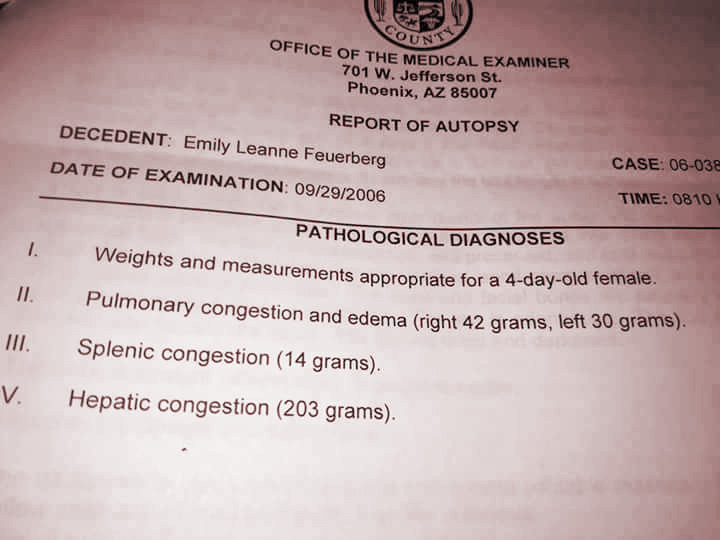 After four months awaiting the results, the autopsy report determined the cause of death was “Sudden Unexplained Infant Death (SUID).” Emily didn’t even “qualify” for the typical “SIDS” diagnosis because of her age and as a result, SUID was decided. 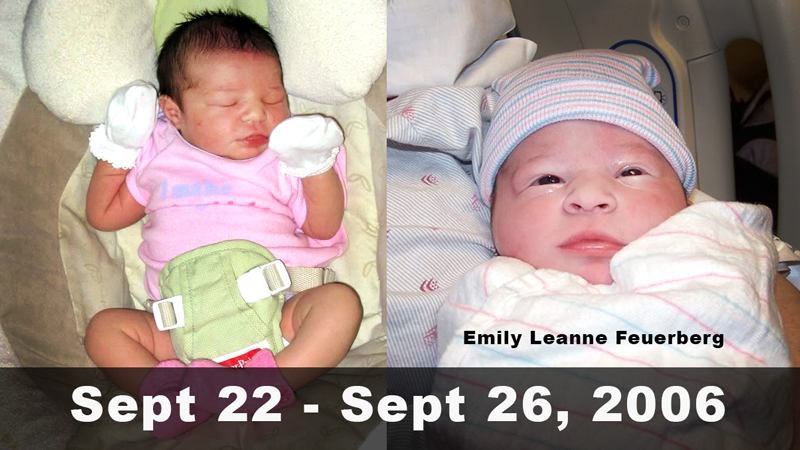 They said Emily did not fit into the typical classification of SIDS because she was only four days old. They didn’t care to look at the blood contaminants, the B5 Coxsackie in her lungs, her enlarged liver, enlarged spleen, or pulmonary edema. They just cared about proving I didn’t kill her. They even called my mother-in-law with the autopsy results for some reason. (I guess she called the medical examiner’s office a lot). I knew “SUID” wasn’t the right answer, but the thought never even crossed my mind that her death was caused by the vaccine injections at that time. 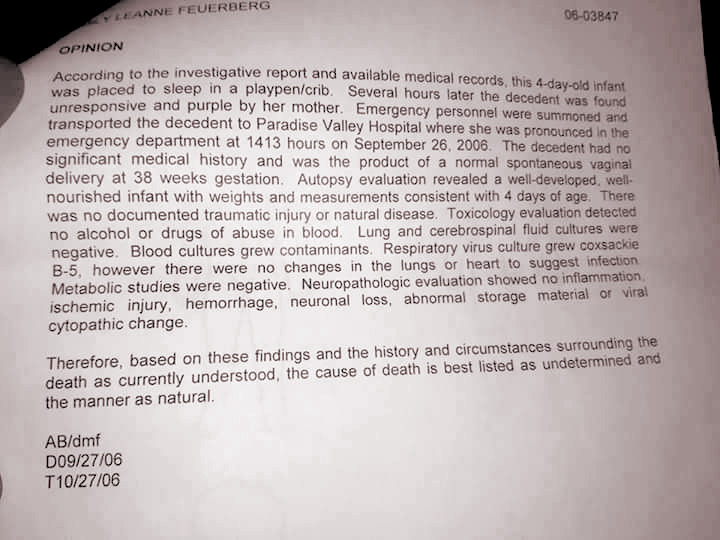 The significance in the autopsy report that indicates the vaccines likely played a role was first her spleen being enlarged to me is a big indicator. The spleen has a couple of main functions and a couple of them are immune response and filtering blood. Her body was obviously fighting all that was injected into her very hard. 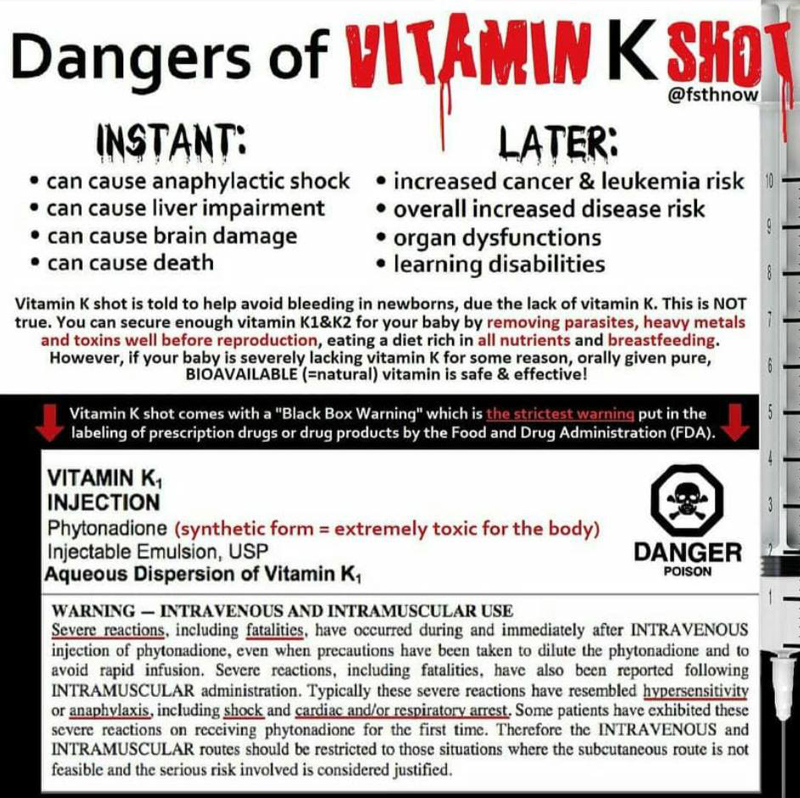 Secondly, with the Vitamin K, while is not a vaccine, this drug actually has a black box warning for being fatal to neonates. Also Vitamin K can cause hyperbilirubinemia (jaundice) that would overload the liver and spleen. Third, the Hepatitis B vaccine can cause inflammation to the liver shown in her elevated liver tests and apnea. Emily had contaminants in her blood, where did those come from? Unfortunately, I stayed very pro-vaccine for too long and harmed my other children with vaccines. Both of my living children are unfortunately fully vaccinated, but I never allowed the flu shot. My other daughter’s issues were always very subtle or not obvious at all. She never showed big issues and was always advanced. Then I had my son, Noah, in December, 2011. At about age five, about a month after he had his last round of vaccines, in January 2016, I woke up. His sensory issues were spiking out of control and he experienced leg pain. He always had dark circles under his eyes and I would bring these issues up to the doctor – since he was about 18 months old. Continuously, I brought up his feet and leg pain to his doctors who brushed it off as “growing pains”, as well as the dark circles under his eyes. I noticed issues when Noah was younger, but they seemed more like Attention Deficit Hyperactivity Disorder (ADHD). The last thing I wanted to do was drug him up, so we managed with the minor issues I observed. 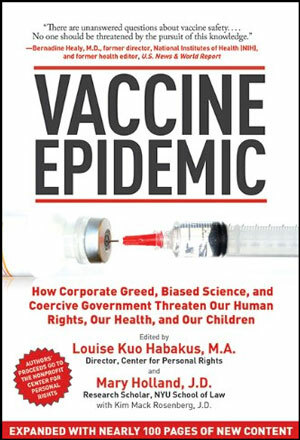 It took a long time to even wake up and realize what the cause was for my son’s issues and just how dangerous vaccines are. This changed when I finally put the pieces together as to why I was so sick much of my life and when my son was also really showing sensory issues. That’s when I really started looking into vaccines. Summer of 2017, both of my kids needed stitches for a gash they got. My daughter visited her primary care physician. 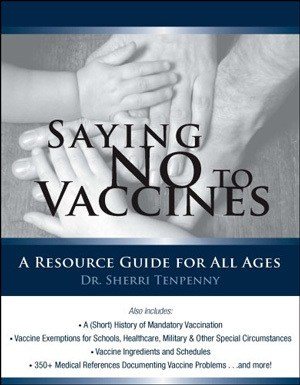 Thankfully, the doctor knew my vaccine stance and did not fight us hard for TDaP when we refused it for both kids! For my son, we had to go to emergency department, and I got to drop some tetanus education on the emergency doctor. My daughter, Amber, now 10-1/2, was born just over a year after Emily, and my son, Noah, is 6-1/2. My kids and I will never get another vaccine. My children are both now homeschooled, but my daughter, Amber, had a vaccine exemption when she was in public school. 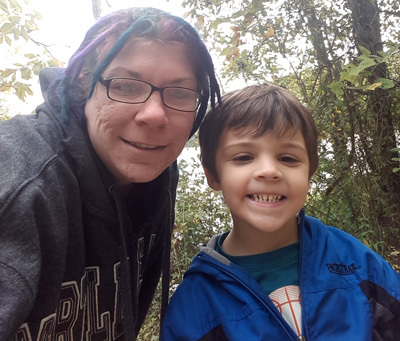 She has dealt with sleeping issues and anxiety since at least April 2015, but we were never sure if it was the stress of a chronically sick mom or due to a vaccine injury. Amber was beginning to exhibit the headaches at around age nine, the same age I did as a child. 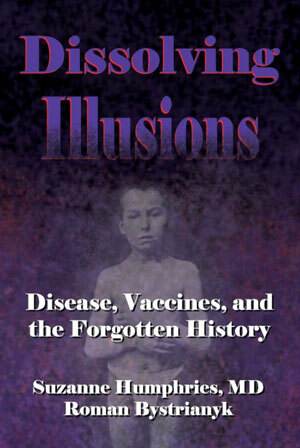 I do believe my health issues were a direct link to vaccines. The vaccines brought out my pain, headache, and anxiety issues, initially in middle school. Since then, I have been chronically sick with skin issues, back and neck pain, daily headaches, and depression. My health issues were all made worse by medications. I saw a chiropractor three times a week for my pain issues at ages 14-15 before leaving home. Then when I moved back, I saw a dermatologist around age 17 who kept placing me on insane drugs, eventually even accutane for my skin issues. 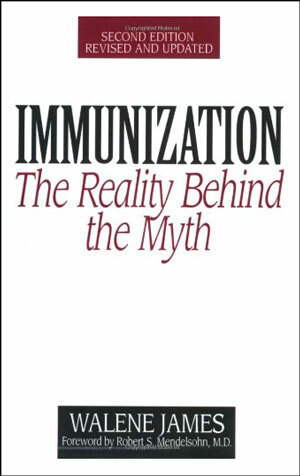 My health dramatically worsened when I went in to “complete” my vaccinations for nursing school at age 18; I received the Hepatitis A/B series. My issues progressed a million times worse, and new symptoms developed, like severe gut issues, and weekly migraines. This all led me to living at the doctor’s office and them prescribing drugs galore. This caused me to become even sicker – it was just all a domino effect. In February 2016, I was bed bound for 18 months and trying to find other ways to heal, but still using western medicine. I was very sick and just getting worse. I had liquid diarrhea 25+ times a day at this point for over three years, and it no longer mattered if I consumed anything, I still had it. If I tried to eat or drink anything, I would projectile vomit immediately. 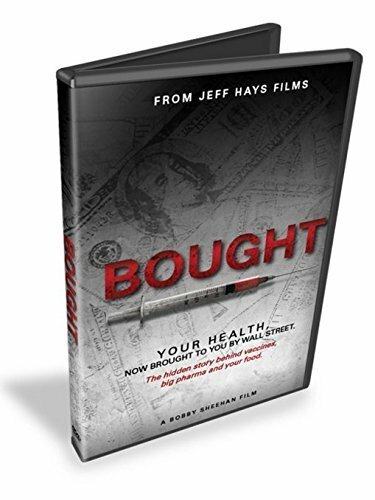 I was so weak from my gut issues and everything else I could no longer stand. If I needed to move anywhere in the house without assistance, I had to crawl there – but avoided that as much as possible. Too weak really to even wipe my self. My husband did everything for me when he was home from work, from bathing me, to wiping me, to trying to feed me. If he wasn’t home, I didn’t do it. I couldn’t. My poor son had his mom 100% bed bound and he had to fend for himself or my daughter had to take care of it while my husband was home. I was developing allergies, especially on my skin. I was developing cellulitis from so many things. Several other reactions on my skin developed as well, including boils. My doctor sent me to an infectious disease doctor who wanted me to scrub with surgical scrub as much as possible!! I had severe gut issues and the gastroenterologist (and previous ones before) never found issues with my gut. I was on such a massive drug cocktail (Loperamide, Lomotil, Phenergan, Zofran) for my nausea/vomiting/diarrhea, but it didn’t help much. Even though I couldn’t hold anything down, I was gaining weight like crazy. I wasn’t sleeping most days (even while taking Lunesta or other sleeping pills). When I did sleep, I had severe sleep apnea (42 episodes/hr). My blood pressure was out of control, as well as my migraines. I had a migraine everyday, from the time I woke up, until the time I went to bed. I was getting botox injections and nerve blocks from my neurologist for the migraines. In between those injections, I was prescribed Baclofen, four doses of Toradol a month (injection), and Verapamil. My primary care physician had me on Abilify, Celexa, and Xanax, but I removed myself from those in about November 2015 and didn’t tell any of my doctors. I just kept picking them up from the pharmacy. (When I did finally stop picking everything up, the pharmacist asked me in an accusatory tone, in front of other customers, why I stopped all my drugs and listed them off. I was picking up a few more days of a sleep medication because I was coming off Baclofen and having crazy withdrawals and needed to sleep. However, I wasn’t taking anything for my severe pain. My body was starting to shut down in so many ways, and even with my two to four doctor’s appointments a week, I was just getting sicker and sicker. After all of this, I had enough, and decided to pick up a bottle of alkaline water as my friend kept suggesting. I sipped on about six ounces over eight hours and was actually able to hold it down. By the end of the eight hours, I felt so amazing, and had more energy than I have had years prior to this. I was laughing and running around the house. I seriously felt like I was on drugs from alkaline water. I knew right then I needed to ditch western medicine completely. I dropped all the medications and drank nothing but alkaline water and began juicing. All I consumed for two months was alkaline water and the raw juice I juiced. After two months, I slowly started including whole foods into my diet, avoided gluten, but still juiced daily and continued with only alkaline water. The first one and a half months I dropped 50 pounds, and the next four months another 50. My blood pressure resumed back to normal. My sleep apnea nearly went away (I was now averaging about two episodes/hr, from 42). My skin issues started healing almost instantly. My headache issues began to slightly improve. I had already decided there would be no more vaccines in my house. I did not know about the dangers of vaccines yet, but I already had decided my kids would not receive another shot until extensive research was made. 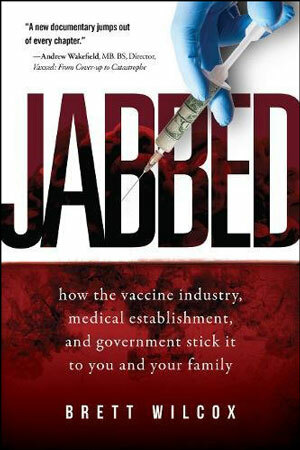 I hadn’t looked into vaccines a great deal yet because I was so sick and just trying to become somewhat functional. This is when I knew I was doing everything all wrong and began healing and detoxing everyone. 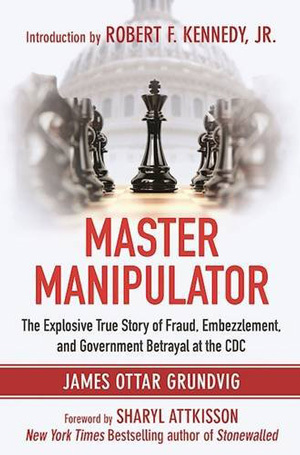 As I looked into vaccines, I realized everything we have all been dealing with was related, including the death of Emily. 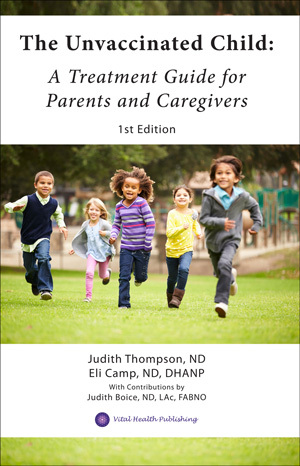 Then I started learning about methylenetetrahydrofolate reductase (MTHFR) and various indicators of having it (which all my babies had, as well as my nieces and nephews). My mom did a DNA test, so I asked her about it. Sure enough, she had the same two markers I have. Then I sent off my DNA and confirmed I also had them. 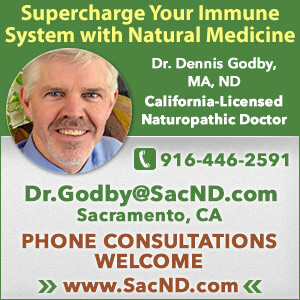 People referred me to the Andy Cutler Chelation (ACC) therapy to help detoxify and recover from vaccine injury. So I sent off my hair follicle and found I was high in aluminum, nickel, cadmium, lead, and counting rules showed I was also high in mercury. With ACC, when you take Alpha Lipoic Acid (ALA), if you produce symptoms when doing rounds negative or positive, it’s a positive indicator for mercury. Mercury often does not show up especially in people with MTHFR, but toxic people unless it was a recent exposure. I was elevated in other metals as well. I take a lot of vitamins/supplements for the chelation and for support. With chelation, I have to do 72-hour rounds every four days, which means taking it every three hours the entire 72 hours. I make sure to consume a lot of alkaline water through the day (I’m so inflamed I have to drink on at least two gallons a day). I also use essential oils, and soak in an Epsom salt bath at least 2-4 times a day to help detox and manage my pain. As a family, we are also detoxing through the use of alkaline water, raw foods, no gluten, Epsom salt baths, and juicing. Gut health, essentially. In addition to ALA, we have also been taking DMSA for the chelation, as well as the supportive vitamins and supplements. Supplements I take are Vitamins A, C, E, zinc, magnesium, riboflavin, dl-phenylalanine, l-tyrosine and niacin for sleep, kava kava or valerian root if I need something to help relax. Plus we take others if we feel we need it tailored towards specific reasons. 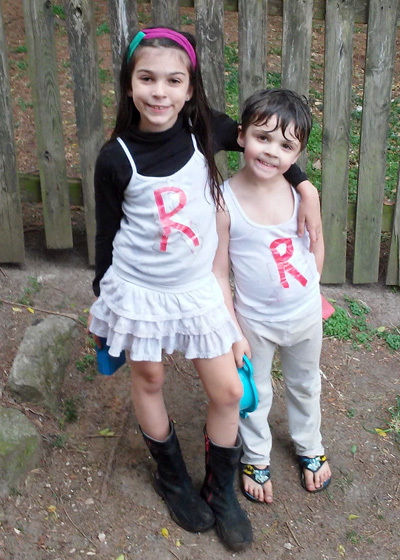 Both of my kids are chelating, my son has made vast improvements along with his diet and is doing so much better. We still have more detoxing plans for him, but the difference is truly amazing. He’s so much more focused, he doesn’t hurt himself, or make himself fall nearly as often anymore, and he can handle situations better now. He has been in occupational therapy this last year and just had his final appointment. They discharged him saying there was nothing more they could help with and he has met all his goals. I’m still bed bound most days, haven’t been able to work in three years, and have probably three years of chelation left to hopefully live again. Vaccine injury is intense. I wouldn’t wish it on my enemy. And there are so many ways it presents itself. What I would do to live again. To know what life is like without debilitating pain and anxiety. Now I am prescription medication and doctor free! I have made so many lifestyle changes and have been detoxing for over two years to get here. I’ve still got a long road of healing to go, but I have come so far at this point. Although my debilitating pain, vertigo, and anxiety levels, frequent headaches, facial cystic acne, and overall terrible inflammation are still bad, I feel better than I have in years. So many more issues have completely been cured and have gone away since I have been on this healing path. Q: Do you have any interest in returning to the nursing/medical field after you’re recovered? Leah: I really love and miss nursing. I miss helping people; it’s such an amazing feeling. As far as returning to nursing, I would really love to volunteer abroad someday with my skills if my health ever allows me. I am working on a soap/natural body product business, and a few other things. I am just not sure I will return at this point, at least at full force, unless I found the right naturopathic office or similar. Q: How has life been since the loss of Emily? Leah: Life has been rough since losing Emily. It’s something you will never get over. 12 years later, and the month of September, is still especially hard around here. Even though my kids never met their sister, they still discuss her and “blame” things on her anyway. We have always made sure they knew they had a sister. 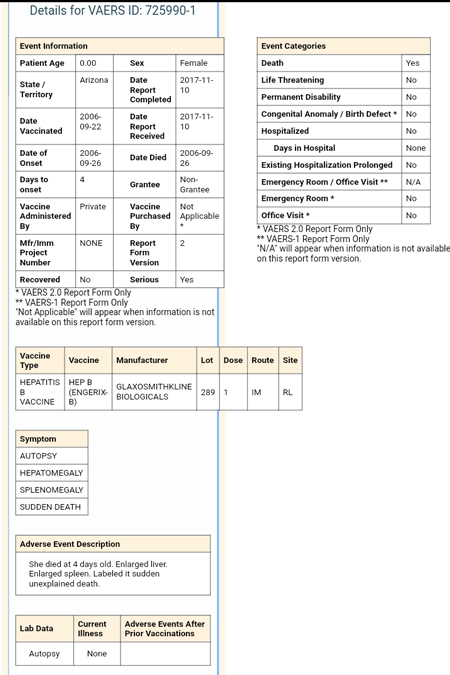 Q: Did your doctor or the hospital file a Vaccine Adverse Event Reporting System (VAERS) report? Leah: Her doctor actually wasn’t the one to file the VAERS report initially. It was the hospital doctor I never saw again who vaccinated her when she was born. My kids’ pediatrician never brought up the Vitamin K or Hepatitis B and Emily never saw her pediatrician. She died the day before her first appointment. 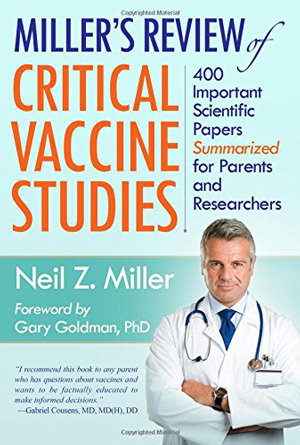 I only learned about VAERS and the Vaccine Injury Compensation Program (VICP) when I started researching and others pointed me in the right direction. I finally filed my VAERS report last year. At that point they verified what had been filed through the hospital records, treating providers, and autopsy. Once they did that, they completed her report with the information they found. Q: What advice or recommendations would you like to share? Leah: My biggest piece of advice is research like your child’s life depends on it, because it does. I would never tell someone just take my word for it, informed is the best to be. But please, read everything and anything you can regarding vaccinating, if you are considering it. There are large communities out there armed with reputable information ready to help educate others. 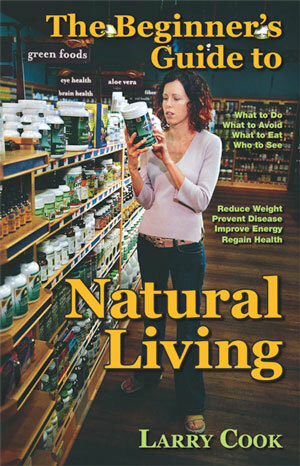 Many doctors, medical professionals, and scientists that have learned the truth are speaking out. I wish I were better informed at that time. I can’t change my choices now. My kids are very aware about the dangers of vaccines. My daughter has even watched documentaries with me and has educated her former classmates. My children help distribute vaccine information cards. 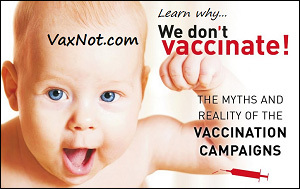 You mention a vaccine, mercury, or aluminum around my son and automatically he goes NOooo…no vaccines!